Remember what you felt at the outset: the passion, the pleasure, the sheer joy of being in each other’s physical presence. Seeing only the positives in one another. You can easily recapture those feelings. Spend a little time focusing on the remembering, and the feelings will come flooding back to you. The next step is to focus only on what you want from the relationship from this point forward. Not on what happened in the past, but where you want to go from here. And let your partner focus on what she or he wants. That’s often the most challenging part of relationships, particularly romantic ones. However, if each of you focus on what you want, and not on controlling your partner’s wanting, you can work wonders for your relationship, and for each other. But that cannot happen if you are focusing on changing your partner’s wanting. When you focus only on what you want with a laser-like intensity, the universe arrays all its power to support you and propel you forward. And it will, in seemingly magical ways, align all the energies so both of you get what you want. It’s a process where you are allowing your partner his or her own way, and getting your own way to boot. That kind of loving allowance will strengthen your relationship immeasurably. And it will rekindle the fires of passion beyond anything you have ever known. What have you learned from your relationships, romantic or otherwise? Please share your thoughts and comments with us below. I love what Barbara shared. We create according to our beliefs. What we want Is not always in alignment with how we are feeling. We attract what is a vibrational match to where we ARE. ” Close the gap between you and YOU “. When we don’t like what we are getting, we need to be responsible for our creations. This is a vibrational Universe! Things don’t come out of the blue, they come out of the oblivious! We don’t always realize or know what we are putting out. The Universe cannot give us what we want until we are a vibrational match to it. This means taking a good look at and cleaning up our vibration. When we are in a FEEL GOOD state, we are lined up with SOURCE. When we are aligned with SOURCE, we are in a state of ALLOWING. When we are in a state of ALLOWING the Universe quite naturally delivers. The’s no ” OUT THERE ” — there’s only IN HERE !! EVERYTHING IN MY FIELD IS WHAT I HAVE CREATED ACCORDING TO MY BELIEFS ABOUT WHAT I DESERVE TO BE AND DO AND HAVE. IF I DON’T LIKE WHAT I’M GETTING ( i.e. ” Where’s my Stuff?” ‘-) it is time to take a look at the thoughts that I’ve been thinking. As ABRAHAM says, A belief is just a thought that you keep thinking. Sometimes we are not aware of what lies beneath in our unconscious awareness or of the vibe that we are putting out which appears to block our desires. That can be tricky. A strong desire to be free of old negative beliefs rooted in fear shame and unworthiness is necessary. Believe me, I know! It seems to me beliefs are conclusions formed in childhood or life experience that can even carry over from previous lifetimes. I’ve made my life much harder than it needs to be because I got stuck in old limiting beliefs that kept me in a prison of my own making. From that place it is all too easy to blame other people for my misery. Even if we are abused, ultimately staying stuck in our wounds keeps us bound to lack and limitation in ALL AREAS! Believe me, I know. Learning to love and cherish myself is the ride. Every day. Every moment. Little by little. And sometimes in leaps and bounds I am shedding the skins of my past. Growing up in an alcoholic family I know something about control. My childhood was scary. For me the need to control is an attempt to feel SAFE. But trying to control conditions so that I can feel good is a losing battle! It’s also exhausting and cuts me off from the Universal flow. And that is a real trap. Control is rooted in FEAR. I believe Earth is Creation School. We have some wonderful teachers with us here now. I believe this is the most exciting time in the history of the planet. Despite everything that’s happened, I am glad to be a part of it. I look forward to a day when I’m not standing in my own way. I deserve to love and be loved. No limits!! And so it IS!! Boy, I was really on a roll here! So they say “You create your own Reality”. If i create my Reality then in my reality i can create a relationship with this person the way i want or desire, right? For me “you create your own Reality” means that. I am not trying control anyone, but thats the reality i want and desire. So if thats not happening as it many times does not, does it mean “you create your own Reality” is wrong then? Or you may create sometimes is the way i see. They also “You are an image of God”. Seriously if i am an image of God and like God and i cant even create the reality i want with this person, then what kind of God am i? I dont know i have some confusions about these ideas. I understand free will of any person, then in that case i feel preaching that “you create your own reality” or “you are an image of God” or “whatever you imagine exists”, etc seems off. Something does not quite add up in those statements. Or it comes with some fine print. They also say Universe knows better but i feel that’s a cop out. i feel that i know what makes me happy but since at this moment thats not happening, i have no choice but to wait for something else to happen. So far what i have seen is that if you are easy with yourself and let things happen, then good things happen but they may not be exactly what you want. But still this is the best bet you have. So to comment on your article just as your title itself indicates, romantic relationships are a definitely a challenge in many cases. Thank you, Chuck, for your comments. Does anyone care to reply to Chuck’s comments and questions? I have asked and continue to ask some of the exact same questions you are asking here. As I recall, it was a relationship question that led me to my first reading with C.J & John many years ago. I still don’t know all the answers, all I know is my personal experience. 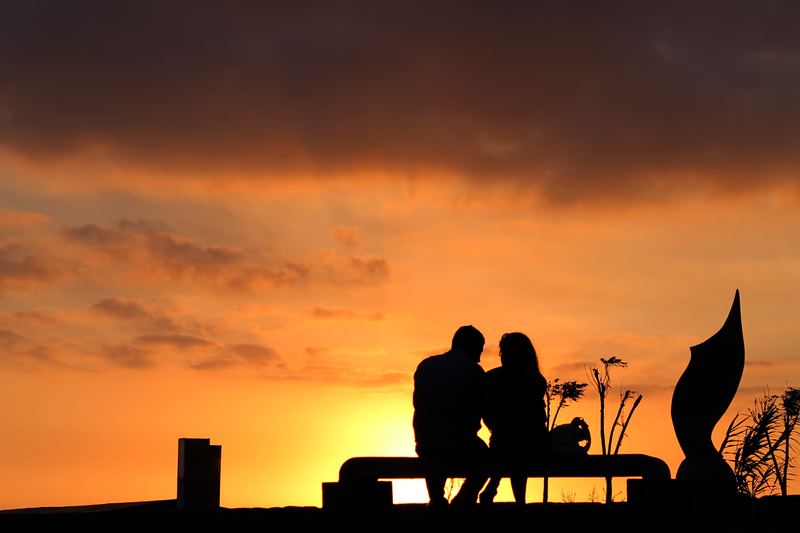 Romantic relationships are wonderful opportunities for personal and spiritual growth. I have grown enormously. I am whole different person than I was a few years ago. I think the person you are so in love with mirrors yourself back to you.Clearly shows you the places where you are not healed and whole, where you still carry old hurts and wounds. And what better way to find and heal the pain and hurt you still carry than have it so well illuminated by a lover? They seem to have the same ability as our children do to hit that target that triggers our old pain body stuff. And in my opinion, every single relationship, whether we label it “good” or “bad”, “serious” or “casual” is part of our soul’s plan and every interaction is a co-creation. I don’t know if that helps, I personally sometimes lose that perspective if I get upset or emotional. But deep inside, that is what I believe. We are all here together because on some level, we know each other and we love each other. Otherwise we wouldn’t even be connecting in any way. In my perspective the sayings ‘You create your own reality’ and ‘You are an image of God’ are both true. Whenever you do not manifest what you wish to manifest, like create a relationship in accordance as you desire with a person, it can have two reasons. Either somewhere deep down you do not completely believe that you are are worthy of capable or to have this relationship you desire or the other person is just not the right person because this person has negative beliefs about his or her selfworth etc. recently I have listened to some very interesting talks on Youtube about manifesting the relationship of your dreams, very much in alignment with what John Cali suggests in this blog. You might want to check out Esther Hicks about relationships and love and also Bashar. I love them both and learn a lot from them, just as I learn a lot from John! Yes i love Esther hicks and Bashar too and john cali too. I have learnt immensely from them. and it has lifted my life to quite a degree. But i have really seen these philosophies work very beautifully for me. When you let go and things happen they are most magical and feels pure. as they always said you cant prove that to someone else, its something only you can feel inside and you stick to it since you know its right. “You create your own reality” actually means: You are responsible for your own reality. b. You are responsible for the way you feel. For example, Tom’s twin brother may feel it’s a lousy day, but Tom feels it’s fine. Tom and Tom’s twin brother are experiencing two different realities that day. Tom, out of free choice, decides to focus on the positives, while his brother with his free will chooses to concentrate on the negatives. c. You attract to yourself opportunities for you to face and deal with some unworked-out issues. We all heard stories of some women who always find themselves laboring in similar abusive relationships. And most therapists know what these women really need to address is sense of worthiness & courage to truly love self. Reply: “You are an image of God” doesn’t mean you are a despot or slave-owner or hypnotizer. Think: what is God? God is Love. God is Life. God is Creativity. God is Oneness. God is Joy. God is Light within. 3) About “whatever you imagine exists”. Right, whatever you imagine exists in your mind’s eye for that while and can affect the way you feel. That’s why visualization is a powerful tool for self-empowerment. Reply: You and they are both right. Thank you,Shih-Min, for your thorough response to Chuck. They are right if they take that motto to mean: there is always more to what we can see with our physical eyes, always more to what our self-perceptions as Human Beings make us to believe, always more to what we asume our potentials are, always more and more and more…. Of course Universe knows it when you take any motto and use it as a cop-out. Wow, I really needed to read that information today .. Thanks for sharing. Its so true, power struggles are a pretty prevalent relationship issue. I like what spirit said about not wanting to control others. I think that stands for all relationships, not just romantic ones. One of the main issues I have encountered relates to ownership. Possessiveness. Its deadly. It also breeds jealousy and disfunction. Its like you said in your ‘Way of the wind parable’ – humans are so into ownership. Its the root of many of the world’s ‘problems’. If there is possessiveness then the relationship can never be truly functional. People should be free to be themselves, emotionally and in all other ways. Like the wind.